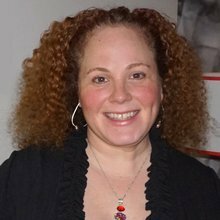 CPRN is proud to announce that Michele Shusterman, Community Engagement Director for the CPRN Leadership Team, is receiving the Making a Difference Award at the 70th Annual American Academy for Cerebral Palsy and Developmental Medicine (AACPDM) meeting this year in September, 2016. This award is periodically given to individuals identified as making a substantial impact in the community. In addition, she is presenting at the meeting and her talk is titled “From Chaos to Cohesion: Making Sense of CP for Caregivers.” Michele is also leading the Community Forum, formerly the Family Forum, at the AACPDM meeting this year and was instrumental in allowing community members who have cerebral palsy and their family members/caregivers to register for sessions at a meeting that inherently is a professional meeting for CP providers. This effort demonstrates her commitment to fostering true collaborative, family-centered care. Michele is the founder of the nonprofit CP NOW Foundation for Advancing Neurorecovery and CP Daily Living, a website and blog for the CP community and caregivers. Both of her organizations’ missions are focused on improving the lives of people with cerebral palsy and their families through education, wellness and support. 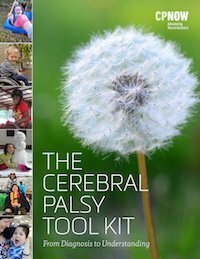 CP NOW launched this year and it recently released The Cerebral Palsy Tool Kit – From Diagnosis to Understanding, the unprecedented comprehensive resource that will guide you through the initial diagnosis period, direct you to other helpful resources and provide information to you about the different approaches to treating and managing CP. It is available as a free download from CP NOW and also available as a print document through Amazon for the cost of printing. She lives in South Carolina with her husband Blake, her outspoken and spunky daughter who has CP, and their two beloved Jack Russell Terriers. Congratulations Michele for being the 2016 recipient of the AACPDM’s Making a Difference Award! CPRN appreciates all that you do for the CP Community!